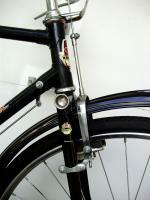 I have a schwinn moab, ive upgraded to a front mechanical disk brake . And upgraded my wheel set and my rear gear (more like a road bike). My tires are pretty much slick , i do alot of street riding not mountain biking. I am not fond of the stright handlebars . I recently baught drop handle bars and thinking of getting the combo brake lever/ shifters. (any advise on this would be great). What i really want to do is make the suspension on the fork stiffer , i like having it so i dont want to get rid of it , any suggestions? and has any one tried these stems from ebay? Hmmm i get it so the stem angle should be alittle higher to accommodte for the drop bars.. is what im understanding .... Yea ur right think twice buy once.. what stem angle have you seen for things like this? 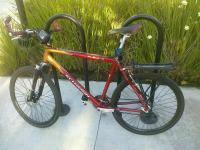 (07-14-2013, 11:47 PM)jimboslice23 Wrote: Hmmm i get it so the stem angle should be alittle higher to accommodte for the drop bars.. is what im understanding .... Yea ur right think twice buy once.. what stem angle have you seen for things like this? as far your shock, need more info. spec it from the manufacturer and order stiffer springs or play with air pressure settings or both. setting for a heavier rider than what you are should help.